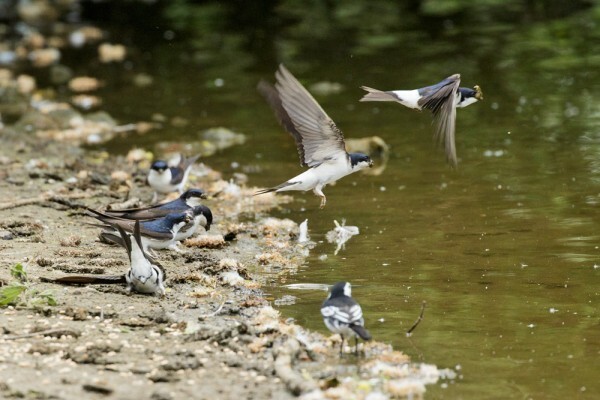 House martin season is in full swing down at Falmer Pond. 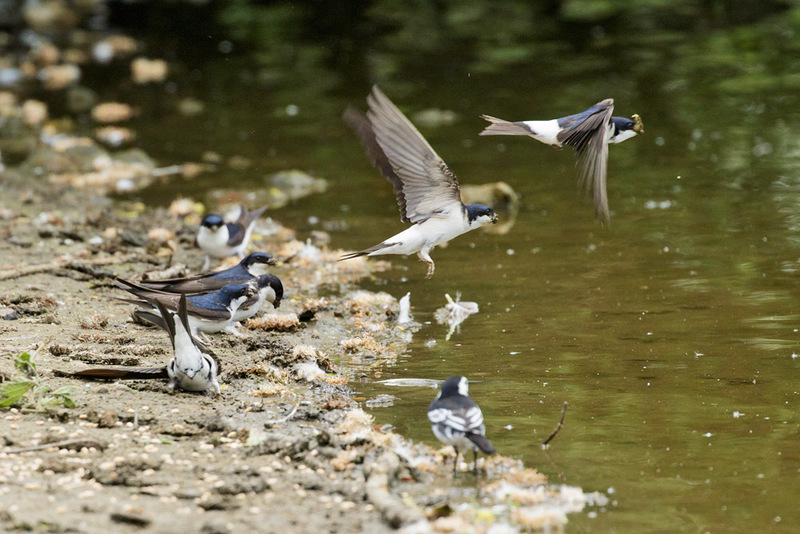 The adults are busy preparing for their broods, gathering mud for nest building at the water’s edge. 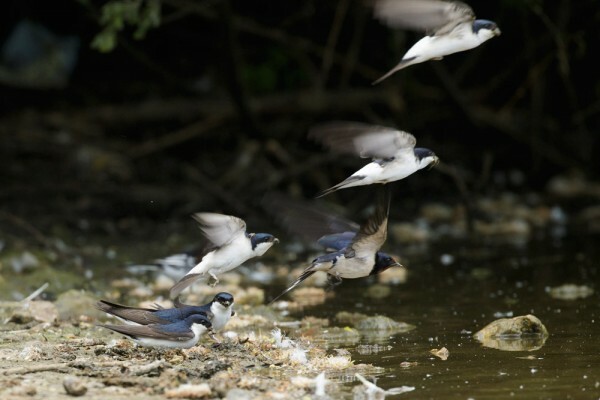 There’s a swallow in among them. And a photo from Monday. 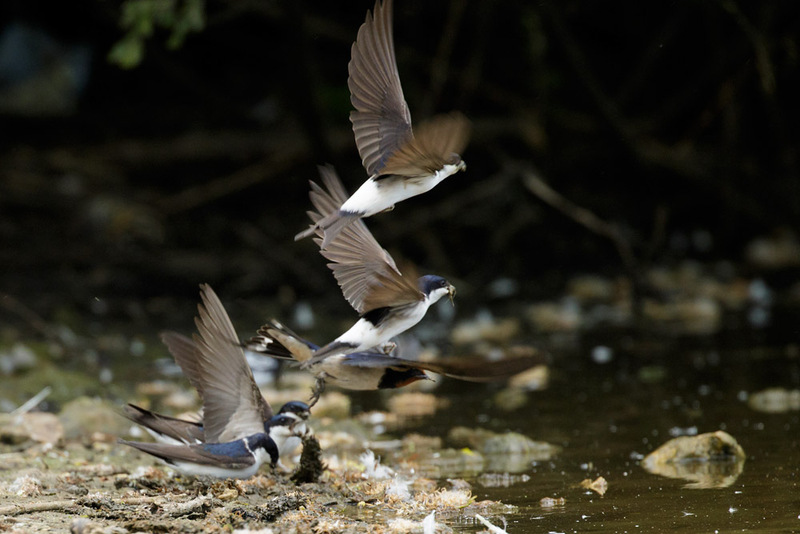 Ok, I admit this is not a house martin! 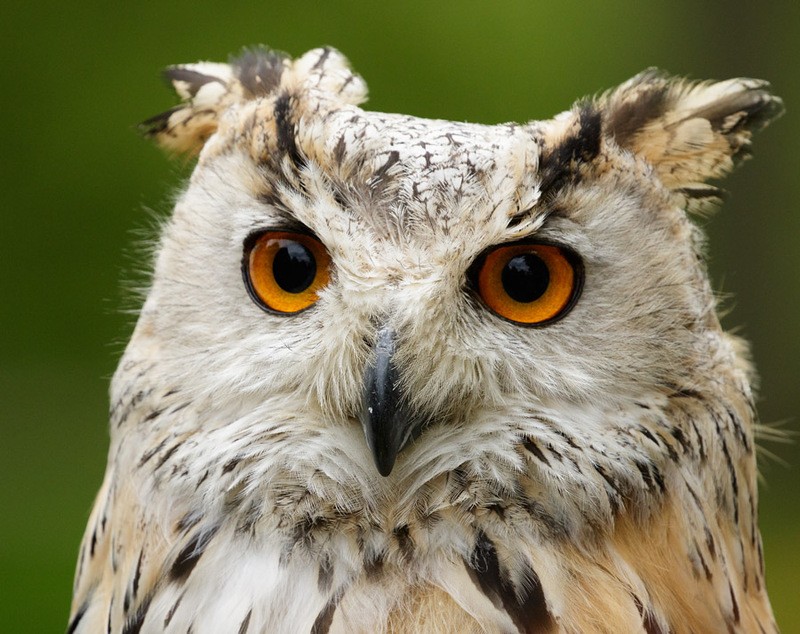 It’s a Siberian Eagle Owl, part of a display of birds of prey at Wakehurst Place. This entry was posted in Bird of Prey, Birds and tagged house martin, owl. Amazing action shots.The owl is a bonus, but what a wonderful face. Wise? Knowing? Can see how the association arose. Thanks! The house martins are always fun, but I couldn’t not post the owl. Agree… they have great faces. Love that owl photograph, even though it is not in its natural habitat!